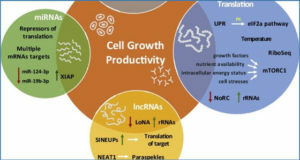 A recent advance in transcriptomics has spawned the ‘Decade of non-coding RNAs’ by potentiating the growing numbers of long non-coding RNA in cancer. 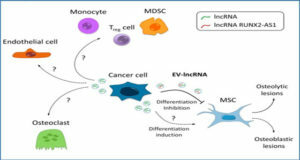 LncRNA involvement in cancer denotes its significance beyond our perception as they participate in tumor suppression and promoting oncogenesis, which raises them as a mighty class of effectors or regulators. 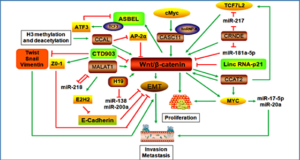 Aberrantly expressed lncRNAs interact with major protein and coding partners, which ultimately deregulate normal cellular processes and drive the cell towards malignant state. Identification of theses interactions are utmost important as lncRNAs can be ideal targets for therapy. 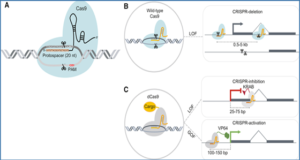 Dysregulation of lncRNAs by genomic alterations like single nucleotide variations and gene fusions are also potential modulators of their secondary structure. 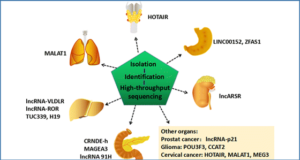 In this review, the authors discuss the various molecular interactions of lncRNAs with major bio-molecules and genetic variations in lncRNA genes and their importance in cancer. 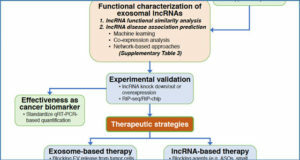 This systematic review outlines the vivid role of lncRNAs in cancer context and opens up future conceptual applications.